Over a dozen seasons, Charles Tillman established himself as the greatest cornerback in the storied history of the Chicago Bears. A two-time Pro Bowl selection, Tillman has been distinguished as one of the NFL’s most opportunistic defensive backs, intercepting 36 passes and forcing 42 fumbles—the most in the league since his rookie year in 2003. In fact, he popularized the “Peanut Punch,” a nod to his childhood nickname and a tribute to his knack for jarring a football from the grasp of an offensive player. But even more than his acclaim on the field, Tillman is highly regarded off the field. With his father serving in the United States Army, Tillman attended 11 different schools domestically and internationally. Lightly recruited out of Copperas Cove High School in Texas, Tillman was offered a single Division 1-A scholarship, but he shined at the University of Louisiana at Lafayette and was selected by the Bears in the second round of the NFL Draft. 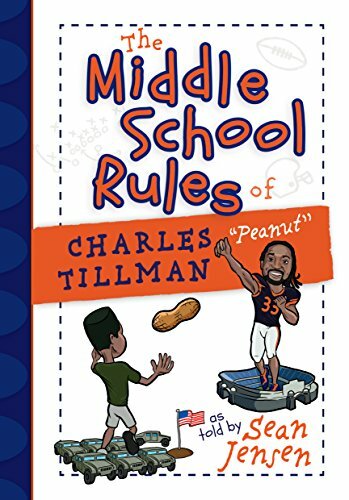 The Middle School Rules of Charles Tillman will feature the defining childhood stories of a young, well-traveled boy nicknamed “Peanut,” who had to deal with racism, adapt to constant relocation, and endure the divorce of his parents. Inspired by faith and family, Tillman persevered and carved out an indelible mark both on and off the field. If you have any questions about this product by Broadstreet Pub Group LLC, contact us by completing and submitting the form below. If you are looking for a specif part number, please include it with your message.